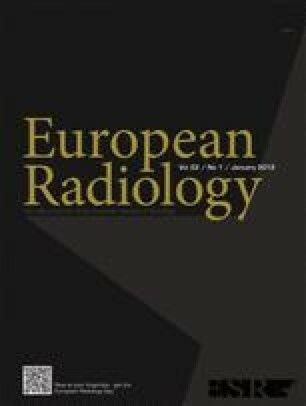 To present the results of biopsy and computed tomography (CT) guided radiofrequency ablation (RFA) for non-spinal osteoid osteomas, and compare the results before and after procedural modifications. We retrospectively studied 557 patients with non-spinal osteoid osteomas treated with biopsy and CT-guided RFA. In 68 patients we used 3-mm CT at 2-mm intervals, 19 G/5-mm active tip electrodes, and one 4-minute ablation at 90–93°C. In 489 patients we used contiguous 1-mm CT, 20 G/5-15-mm electrodes, ablation maintaining 60°C for 2 min followed by 14–15 min at 90–93°C, and multiple ablations in the same session for large and multiform lesions. 533/557 patients (96%) remained asymptomatic and 24/557 (4%) had recurrence; repeat RFA was successful in 22/24 patients (92%). Biopsy was non-diagnostic in 82%. With the modifications performed, success improved from 79% to 98%, recurrences reduced from 21% to 2% and complications from 5.9% to 0.2% (p < 0.001). All patients with large and multiform lesions treated with one ablation had recurrence, compared to no patient with similar lesions and multiple ablations in the same session. Electrode parameters, duration of ablation, morphology and size of osteoid osteomas are important for RFA. The above modifications are recommended for improved outcome. • Most osteoid osteomas can be reliably diagnosed by imaging. • Biopsy yields reliable results in less than 50% of cases. • Radiofrequency ablation (RFA) is safe and effective for osteoid osteomas. • RFA is a minimally invasive outpatient treatment. • Small caliber (20 G/0.9 mm) active tip electrodes and 14–15-minute ablation at 90–93°C is recommended.